Start-up freight carrier Sky Gates Airlines is facing the threat of a restriction imposed on its Air Operator’s Certificate (AOC) by Russia’s Federal Air Transport Agency Rosaviatsiya. The proposed constraint sets an expiry date of July 24 on the validity of the airline’s AOC – and means it will be forbidden to operate flights from that date if it fails to prove that it has corrected all of the regulator’s findings in due time. 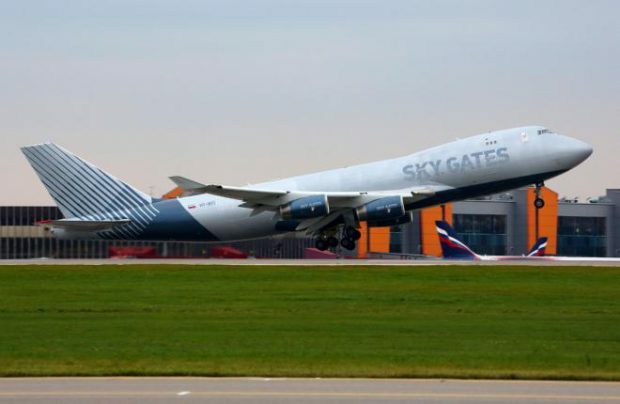 Regardless of the warning, which was issued in late April, Sky Gates Airlines is continuing to make plans to double the size of its fleet of two Boeing 747-400Fs and is marching ahead with its business plan, claiming that none of Rosaviatsiya’s findings concern safety or operation matters, and that it has eliminated all of the discrepancies in its documents that Rosaviatsiya was unhappy with. The regulatory body has not offered a comment on the situation, but the carrier’s representative has explained that regular inspections by Rosaviatsiya are “a very positive thing, which helps the operator to arrange its processes correctly.” He has also assured that all of the findings are of “a technical nature: to bring documents in compliance with the latest changes in the rules, and the elimination of discrepancies” in internal regulations. Although not as quickly as initially projected, the airline is nevertheless proceeding with its fleet expansion plans and expects to take delivery of two additional Boeing 747-400Fs this year – one before September and the other prior to the end of the year. Asked why Sky Gates Airlines has not submitted its operational results for the annual rating of the country’s 35 largest airfreight carriers, the airline admitted that it had handled more than 50,000 tonnes of cargo last year, a figure which places it third in the rankings.